I’ve always wanted to ride from Rhinebeck to New Paltz, and I woke up to find blue, cloudless sky and thought my day off would be the perfect day for the ride. It was a gorgeous, almost-autumn day– warm, and a little windy at times, but a bearable windy. I decided that I’d give myself an hour and a half to get to New Paltz, where I would meet up with my friend. That would give me plenty of time to get there. I had looked at a map before my ride to make sure I knew where I was going. One would think, after living in New Paltz for a year, and my constant back-and-forths to Rhinebeck, I would know where I am going. And, I did. But this was different, as I would not be driving a car nor going on the highway.My plan was to go through East Kingston down to Rondout, over through Rifton, and eventually make my way to Rt 32, to bring me into New Paltz. I found out the hard way that East Kingston has many “dead end” streets. But made it to Rondout. 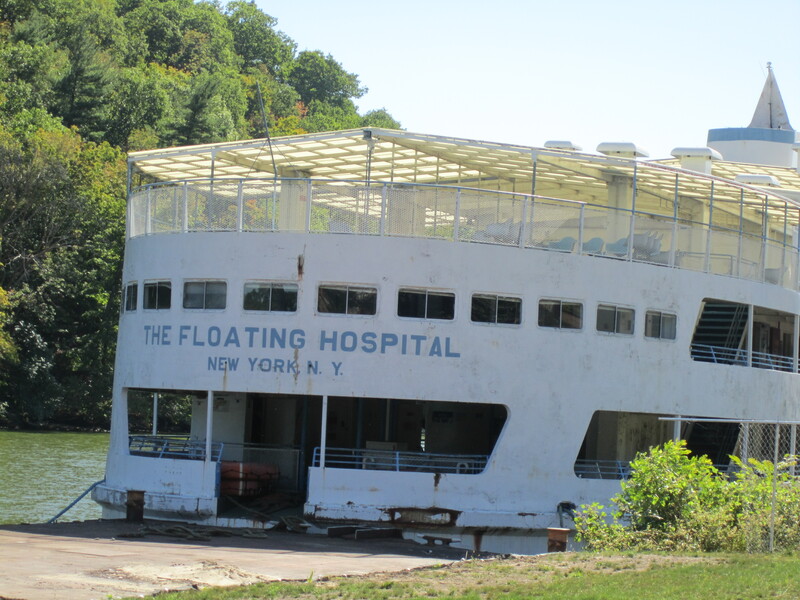 Making my way down Abeel street I could not help but notice an old New York Floating Hospital. This hospital, as I found out later, still serves the homeless population down in New York City. The ride was going well, not too difficult, and the weather was perfect. I passed through Rifton, and decided to take a short cut to New Paltz, which would be quicker than going all the way to Rt 32. I knew I would have to go uphill, but that did not bother me, as I’d stay on the ridge, and my apartment in New Paltz is somewhat on a hill. The first mile of the incline was not bothersome. But, after six miles of going uphill, my thighs were burning, my lungs felt like they were on fire, and my breathing was labored times three. I kept thinking, “what goes up must come down.” Eventually, the incline turned into a sharp downhill which intersected with North Ohioville. I would be a little late, but was almost there. As I was approaching the intersection, about to stop and concentrated on unclipping my left foot to keep my right foot clipped in, I noticed a firehouse on my right. And that’s when it dawned on me– there is no firehouse on North Ohioville. I stopped and looked straight ahead to a sign: “Rt 9W.” Ohh crap (maybe what I really thought is not appropriate to write). 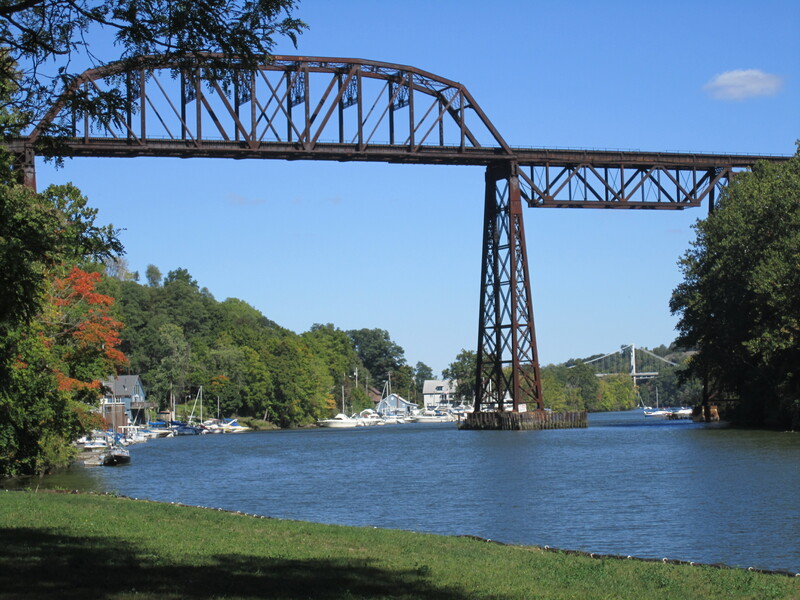 If you are familiar with the area, you know that 9W parallels the Hudson River…And is not close to New Paltz at all. My shortcut was no shortcut. In fact, it brought me further away from where I wanted to get to. So, I was a little annoyed, and going to be a little late. I never realized heading south on 9W, that it is rather a hilly road. My legs were mad at me, and I had run out of water. But, I had to get to New Paltz. Finally, my 15 mile “shortcut” brought me to where I wanted to be. From now on, I’ll be steering clear of shortcuts of any kind.